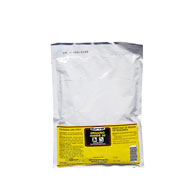 For routine supplementation of Iodine in the diet of beef and dairy cattle. To be used in protein mix, grain mix, or salt. Supplied in two strengths for convenient mixing. Add this product to the ration (protein mix, grain mix, or salt) in proportions that will provide EDDI at the rate of 10mg per head per day/ Mix thoroughly to obtain uniform distribution in ration. Protein mix: Add 1/2 lb. of this product to each ton of protein mix. Feed at the rate of not more than 2 lbs. per head per day. Grain mix: Add 1 oz. of this product ot each ton of grain mix. Feed at the rate of not more than 15 lbs. per head per day. Salt: Add 1 lb. of this product to 130 lbs. of feeding salt. Then feed 1 oz. of salt mixture per head per day.